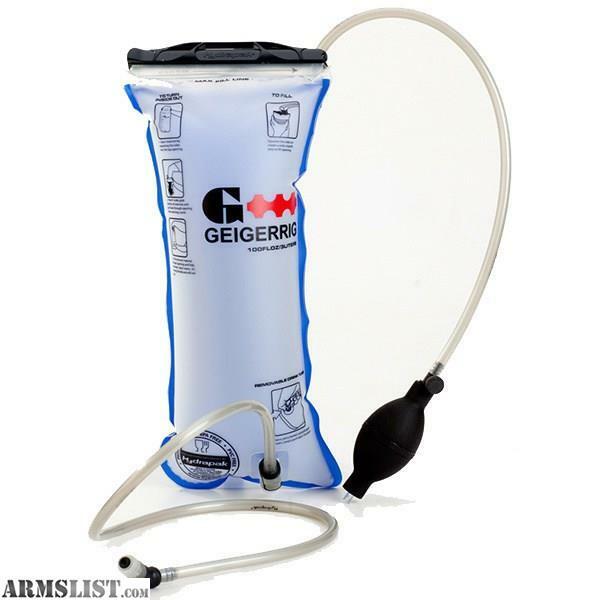 GEIGERRIG Hydration Engines, often referred to as “reservoirs” or “bladders”, are compatible with most other packs. Spray to cool, clean, share, and drink. Ready for GEIGERRIG plug-n-play, on-the-go, in-line filtration. Reversible and dishwasher safe (top shelf). Really, it should be called a Personal Water System rather than a Hydration System. Why? Because a hydration system has come to be known as a plastic bag with a drink tube that can only be used for hydration for one person. The GEIGERRIG system dramatically expands the uses and access to water. BPA FREE – PTHALATE FREE. 2. Wide Mouth: The Engine has a large, wide-mouth opening for easy refill with water and ice. It also provide convenience for maintenance, cleaning and drying. 3. Slide Top: The Hydrapak Slide Top provides a very strong seal that is leak free and holds back the pressure of the GEIGERRIG system. 4. Quick Release Valves: The quick release valves allow you to easily disconnect the tubes and leave them positioned in the hydration pack while you remove the reservoir for filling and cleaning. 5. Filter Ready: Ready for plug-and-play, on-the-go, in-line water filtration using a GEIGERRIG filter or other in-line filters. The water found along the trail is now available for your use-ON-THE-GO! 6 and 7. Reversible and Dishwasher Safe: Reach down inside through the large wide-mouth opening, grab the port at the bottom of the Engine, and turn the system inside out for placement in the top shelf of the dishwasher or for easy cleaning in your sink.